After what has already been an extremely exciting transfer window so far with multiple teams making multiple changes. Chelsea itself have been involved in a couple of big deals already and a few more in the pipeline. Yet, despite all this activity what will be carried on from last season will be the Goalkeepers. After having a not-so-very impressive first half of the season, the new Year really brought some good old fashioned no-nonsense Petr Cech magic. Strong reflexes, acrobatic saves and a number of shutouts really emphasized the point as to why he is Chelsea's current no.1 goalkeeper. Cech appeared to have been faltering under Villas Boas' reign and a dubious statement by Chelsea owned Atletico Madrid keeper Thibaut Courtois made it sound like Cech would hang up his boots. 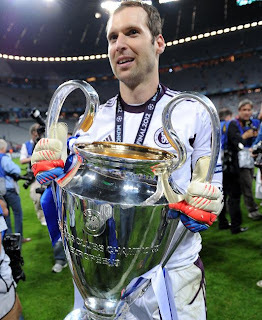 Yet Cech has persevered and was a critical factor which helped in deliver an unprecedented FA Cup, Champions League Double. With Courtois returning to Atletico Madrid for another year on loan and young exciting youth keeper Rhys Taylor released there seems to be non-existent competition for Cech. FA Cup and League Cup: Later stages only. An ever present feature on the Chelsea bench, the only competition he has is with Hilario for that spot on the bench. Last year his only achievement was being promoted to the No.2 spot for a majority of the season. A player who has made only 4 premier league appearances since joining the club in 2009 and a handfull of Cup appearances, there seems to be no future at Chelsea for Turnbull. Yet he has been persisted with. The logical option would be to sell him or send him out on loan, given that he is not exactly Premier league material. Or just to liven things up a bit he could be given a chance against weaker teams like Reading,Southampton, Wigan etc. Not that I'm being rude or anything, but the fact that Hilario seems to keep getting one year extensions continues to bewilder and puzzle me. A decent understudy to Cudicini and Cech when he arrived in 2006. 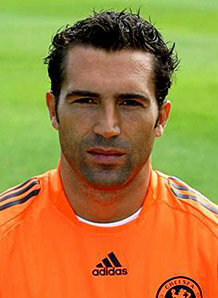 He has made 20 premier league appearances since then and about 20 other Cup appearances. 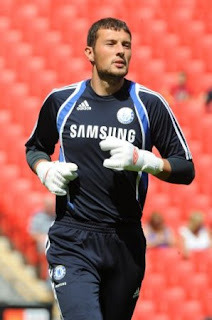 Like his fellow keeper Turnbull Hilario too has not played a single game this year(2012) in any competition for Chelsea and Cech spectacular form doesn't seem to inspire hope for any more games either. Apart from a few pre-season friendlies or a couple of league cup games, I don't see Hilario getting any more games this season too. I'd reckon this is probably his last year in a Chelsea shirt. 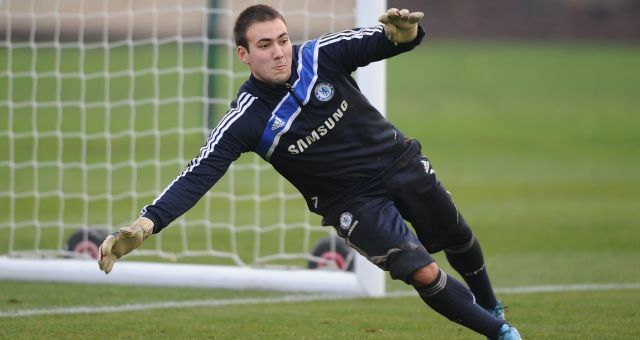 Sam walker the 6ft6in giant shot-stopper is probably the brightest academy prospect at the Bridge. 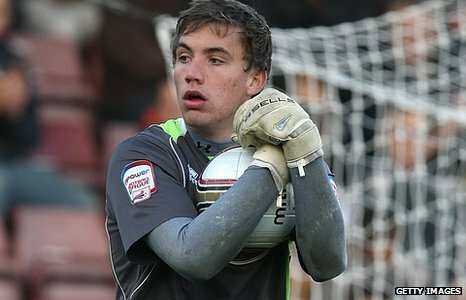 An integral member of the 2009 FA youth Cup winning team, Walker has considerable lower league experience a Barnet, Northampton and Yeovil Town. A couple of senior team appearances would definitely do their confidence and skills a world of good.